Teachers, I love Stitch Fix as much as the rest of you. If given the opportunity, I would schedule a fix for every month of my career. The beauty of Stitch Fix is that lovely clothes, perfectly on trend, fitting like a glove, arrive on your doorstep every time you schedule a fix (which can be as frequently or as infrequently as you like). They have GREAT teacher options and really take your shopping concerns to heart as they curate your box of beautiful clothes. I love it. In fact, I love it a little too much. I love it too much for my meager teacher budget. The clothes are good quality, which means they're not cheap. And you're paying for the expertise of the stylist in addition to the clothes. Plus, it takes a little too long for my liking. If I scheduled a fix today, the soonest it would arrive at my house would be 19 days from now. So long to wait! 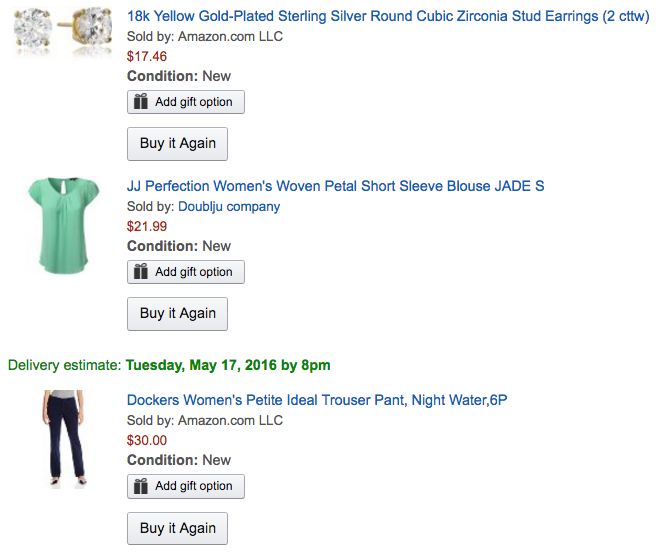 So in true teacher form, I thought I'd try a DIY version of Stitch Fix via Amazon Prime. Call me crazy, but I figured I could spend a decent amount less by DIYing my own Stitch Fix and thanks to Amazon Prime's super-fast shipping, my DIY "Fix" could be here in just 2 days. 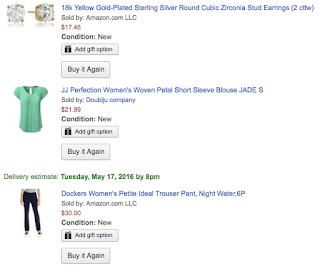 Plus, if none of the items in my DIY Fix suit my fancy, I can return them all for free (no $20 styling fee) via Amazon Fashion's free returns policy. This was a win-win situation. How did I DIY my own Stitch Fix? 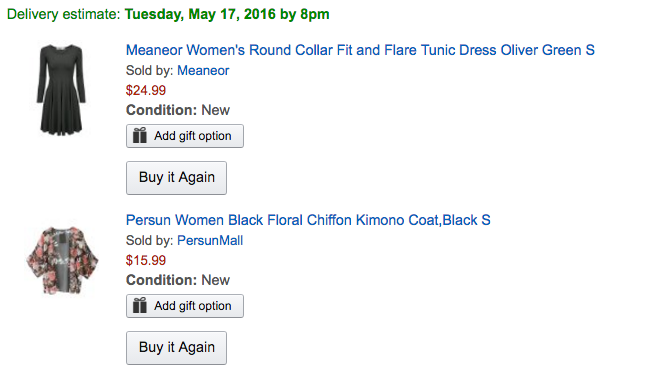 First, I spent a good hour or two on a Sunday night browsing Amazon for items that I would hope to receive in a Fix. I chose a pair of work-appropriate pants, a work-friendly top, a pair of earrings, a dress, and a kimono for summer layering. Basically, I only wanted pieces that would serve me in the classroom! Now, one difference between my DIY Fix and Stitch Fix is that I have to pay for the items up front. That can be a problem if you tend to forget to return things, but then, Stitch Fix would pose the same issue. I made sure to order items that offered free returns and free Prime shipping. Total cost up front: $113. 28, about half of what buying a full Stitch Fix would cost, even after their 25% discount for buying everything in the box. HOWEVER, nothing that I ordered was just right. The kimono's print pattern was skewed really bad on the seams, the turquoise blouse had really long bra-revealing arm holes, the pants had that gap in the back, and the dress was super short. Even the earrings were too small! So in the end, all of it was returned. Stitch Fix wins in that department. Surprise, right? I know... wishful thinking got the best of me! At least I got a full refund, so there was no harm done. If you're really trying to save time, then Stitch Fix is the way to go. If you're trying to save money, you'll probably have to take more time shopping the clearance racks. Thanks for taking a little diversion from our normal teacher talk with me! What do you think about Stitch Fix? How do you curate your teacher-clothes wardrobe?